As we all know, Valentine’s Day  is this coming Sunday. It’s a holiday that’s become associated with so many things – romance if you’re in a relationship, bitterness if you’re single, and chocolate no matter what your relationship status (hopefully!) It’s also a holiday that gets a lot of hate – after all, shouldn’t you appreciate your significant other every day of the year? It seems like an excuse for companies to capitalize on the power of love! Day 1: #StitchWithLove: Spread the Love with Knitting and Crochet + GIVEAWAY! In addition to all of these love-ly posts (get it?) 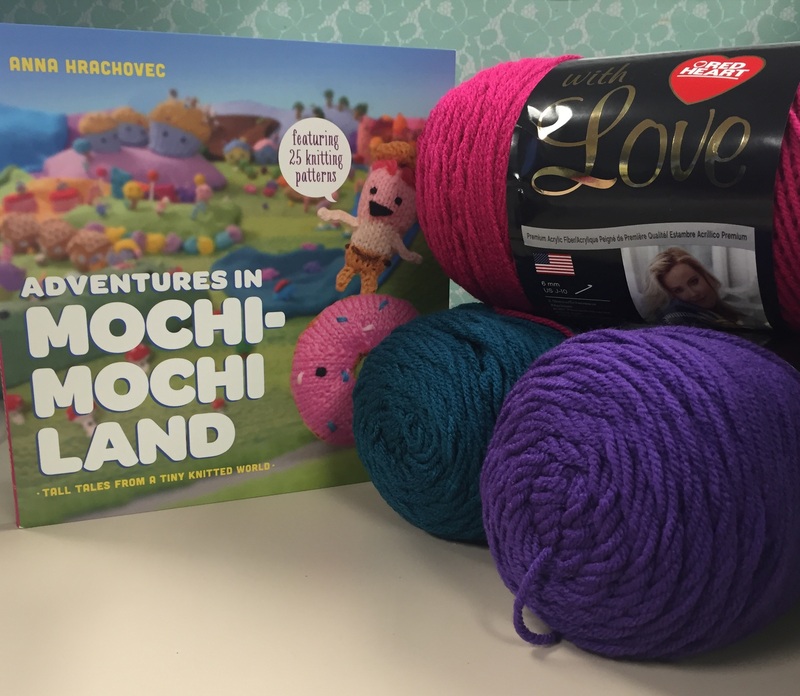 you also have the chance to win this amazing prize pack: three skeins of Red Heart With Love yarn and a copy of Mochi-Mochi Land by Anna Hrachovec! This giveaway has ended! Congratulations to our winner, Deb Rowley! Who in your life are you thankful for this Valentine’s Day? : https://reddit.com/submit?url=https://www.stitchandunwind.com/stitchwithlove/&title=#StitchWithLove: Spread the Love with Knitting and Crochet + GIVEAWAY!